6 Ness Road is the north house on the seaward of the terrace of 6 houses, known locally as “The Double Houses”, built around 1817 for Christian Robertson, which forms an iconic landmark in Stromness. There are superb unrestricted views over the harbour. The property requires complete renovation and presently contains:- kitchen, livingroom, 2 bedrooms, bathroom and large floored attic. There is also a cellar under the kitchen floor. Outside, the large stone pier is shared between the 6 houses. An area of ground lies directly opposite and is bounded by the sea. Area of ground and shed lies directly across the road, all shown on the plan annexed. 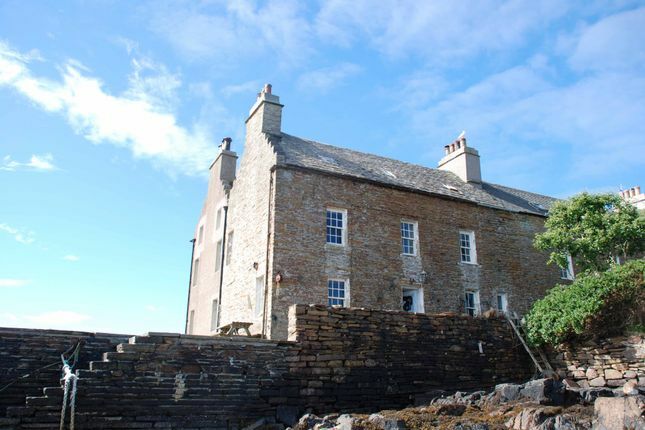 Listed “B” by Historic Environment Scotland and lies within the Stromness Conservation Area.